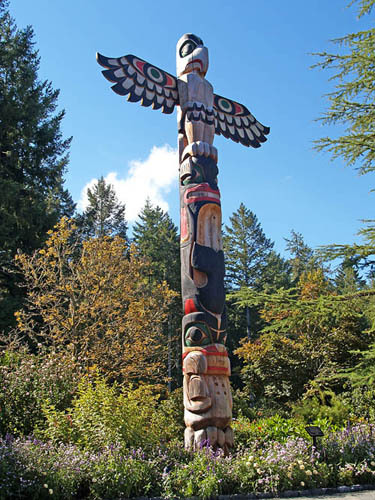 One of the First Nations people�s totem poles at Butchart Gardens. British Columbia, Canada. Keywords: First Nations people totem poles carvings sacred Butchart Gardens Victoria BC British Columbia Canada. IPTC Keywords: First Nations people totem poles carvings sacred Butchart Gardens Victoria BC British Columbia Canada.